It was just its initial period, though. Fortnite: Battle Royale players have until 9am CT this Tuesday to use the new gifting feature before developer Epic Games disables it. The gifting period was already meant to last a week, but Epic called this the “initial period” of the feature. They left players with hopes that it will be back to the game anytime soon. The initial period for the Gifting feature ends tomorrow, December 4 at 10 AM ET. Surprise your Epic friends with a gift while this feature is still available! Players were able to send cosmetic items from the Item Shop to their friend’s inventory this last week. Players who sent the gift had to be friends with the recipient for at least 48 hours, enable two-factor authentication on their Epic game accounts, and have enough V-Bucks to buy the gift. They could also add a short message to the gift. Recipients just had to wait for the gift, but they could also choose to refuse receiving them from other players in the game settings. Epic is used to implementing new features slowly. Fortnite lacks a test server or something similar, so Epic has to add new features temporarily before making them permanent. That’s how the funding program Support-A-Creator worked. Players could add codes to their in-game purchases to benefit their favorite Fortnite content creators for a limited time, and Epic announced yesterday that the feature is now permanent. 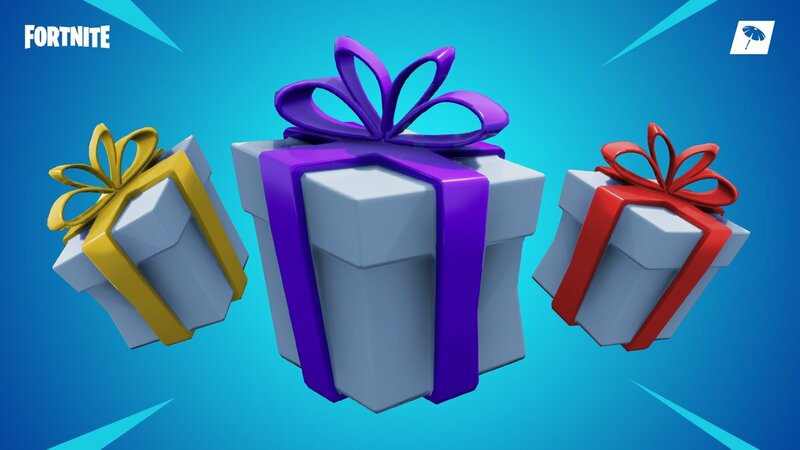 Epic will likely analyze the gifting feature data for a short period before adding it back to Fortnite with the same options or in a revamped shape. The company is yet to announce when it plans to bring it back, though.